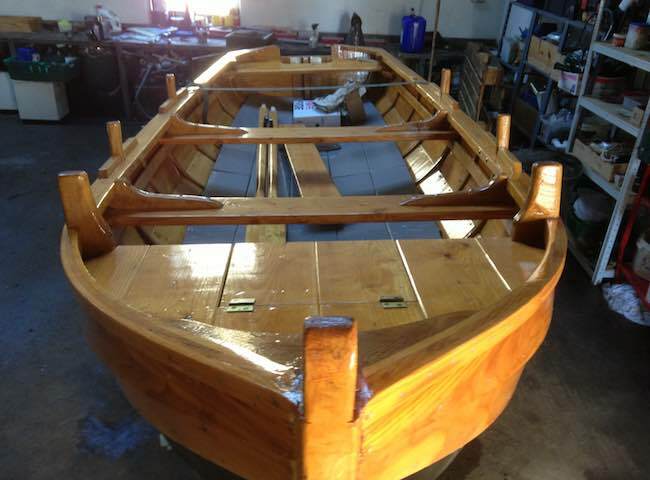 Here's the most satisfying objective in the world of Scottish salmon fishing. 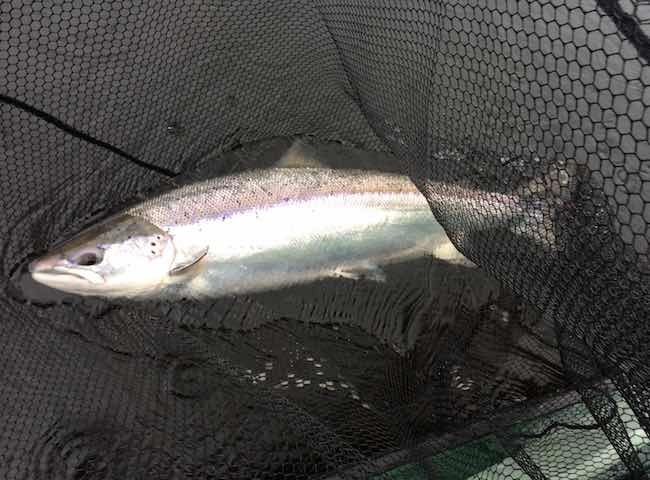 This is a heavyweight River Tay Spring salmon seconds before its release back to the river. 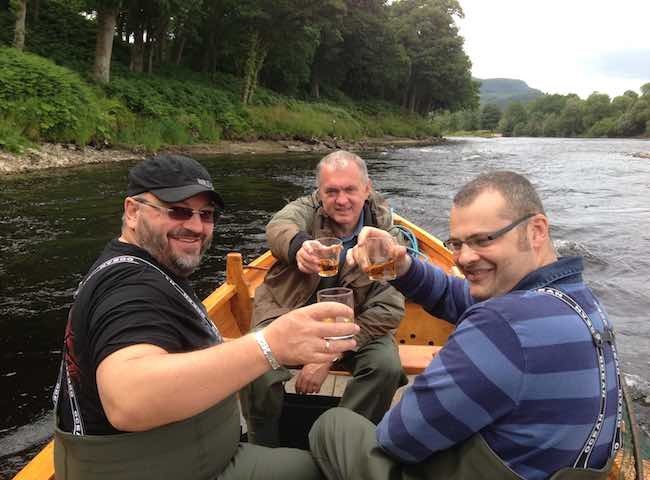 These satisfied salmon fishing event clients from Russia were celebrating their capture of two fine River Tay salmon with a taste of one of Scotland's finest malts. Malt whisky tastes even better in the fresh air after the exhilaration of the salmon fight. 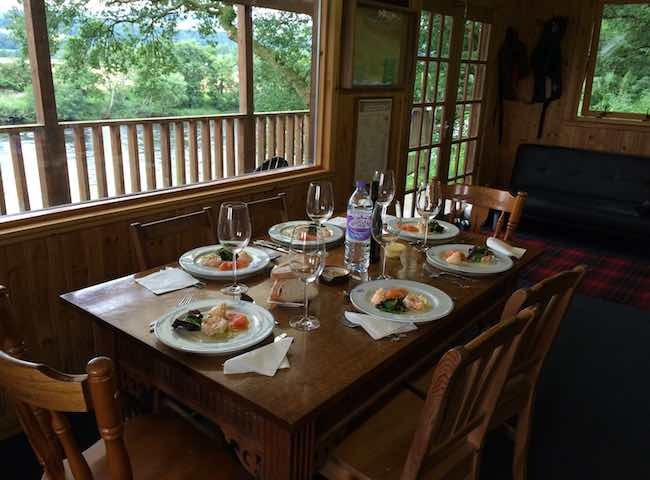 Here's a fine example of the calibre of culinary expertise that awaits our salmon fishing event day guests at lunchtime. 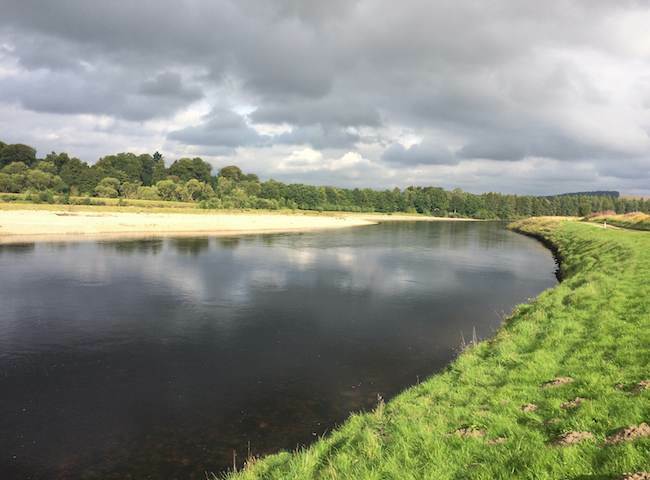 There's no better place to enjoy a fine lunch than overlloking the River Tay. 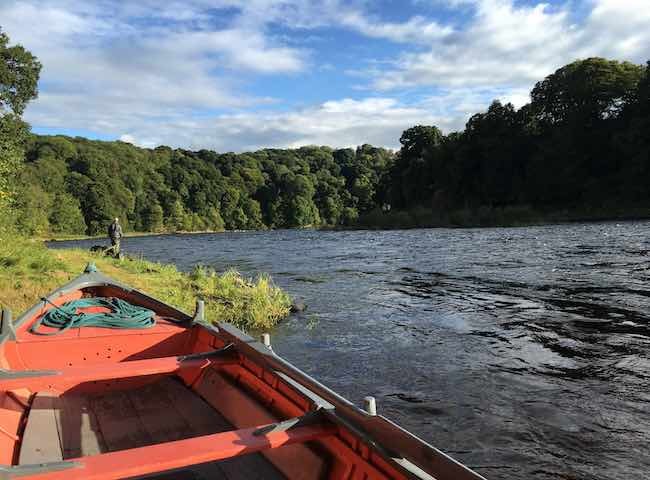 Put a team of your business associates together for a quality day on the River Tay with some of the river's best professional salmon guides and a top Michelin starred chef and create a fantastic day out to remember. 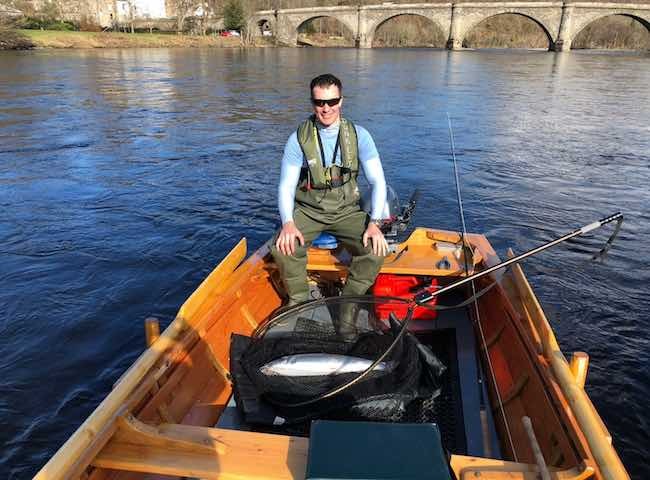 Here's a shot showing a perfect fresh run Spring salmon with a delighted salmon fisher on his first day on the River Tay. 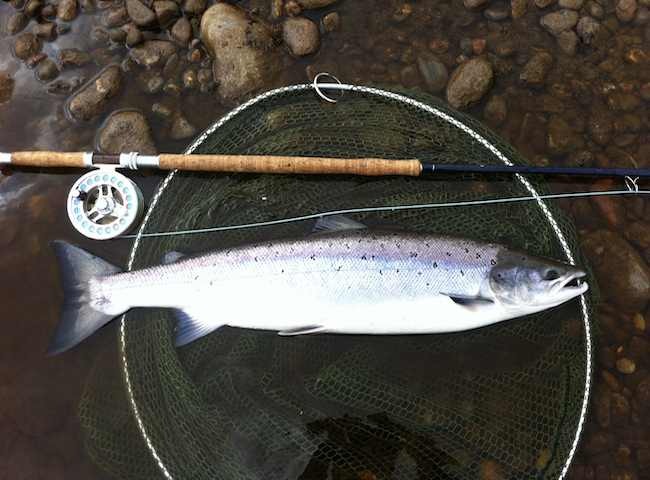 This perfect fish was caught on the Dunkeld House salmon beat. There's always a certain added confidence when salmon fishing with a tried & tested salmon fly pattern. 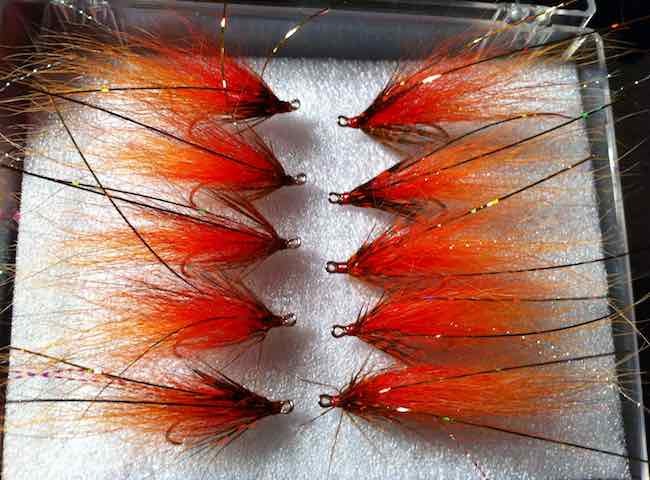 This fly was named the 'Jock's Shrimp' after it's creator and is a particularly 'effective' salmon fly. 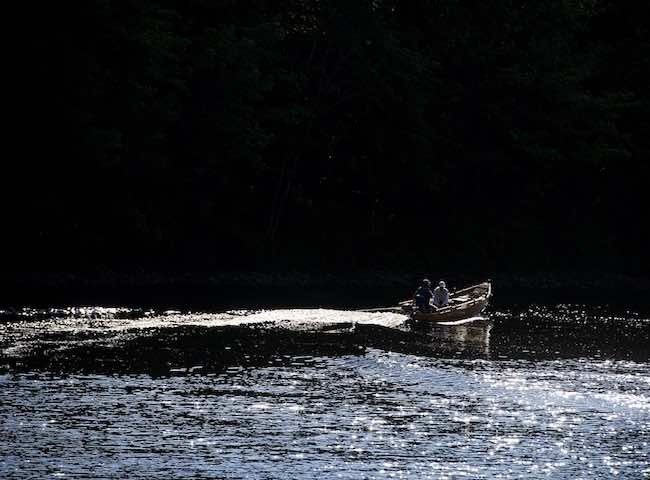 Here's a shot of the fishing guest and professional Tay boatman heading back to the fishing hut. 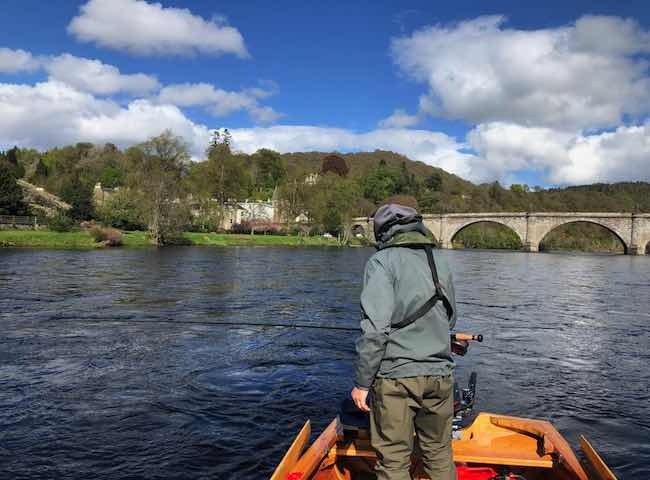 There's nothing that beats a relaxing day out on the River Tay in pursuit of God's finest marine creature.